During the Arab Spring Egyptians covered the streets in protest of President Mubarak and demanded a leader change and access to a democracy to give power to the people. After a long wait, the military rule gave power to the elected President Morsi. An operating democracy is a major step for Egypt and the people got what they wanted. Or did they? On November 22nd, President Morsi decided to give himself sweeping powers that destroyed checks and balances and any real accountability. This led to more protests by the people who demanded the democracy that they thought they had already won. Once again, Egyptian protests were seemingly successful despite 7 people dead and hundreds wounded in a clash between protesters and Morsi’s support, the Islamist Muslim Brotherhood. Mursi renounced his unstoppable powers and ceded to the wishes of the people. However, in doing so he issued a decree that gave the military permission to arrest protesters and hold them and refer them to prosecutors. On top of this, a constitution was written that clearly supports the agenda of the Islamist Muslim Brotherhood, liberals see it as a stab in the back from Morsi but so far a peaceful vote has been the result. The vote looks to be in favor of the constitution which may cause for more instability. Morsi is accredited with much of the work that brokered the ceasefire between Israel and Palestine over the Gaza Strip. This could be an indicator that Morsi plans to step up as a major peace maker in the region but at this point he seems a little difficult to get a beat on. His domestic policy and foreign policy approaches appear to be polar opposites. Egypt can play a major role in the region and having influence on conflict between Israel and Palestine is not easy to come by. How should the United States judge this? 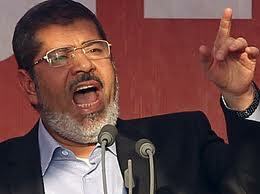 Is Morsi a leader that we can trust and include in future regional peace talks? Many leaders have had differing grand strategies when gears shift from domestic to foreign policy, is that an excuse to accept Morsi for the leader he showed himself to be when dealing with Gaza?